Someone was feeling a little ambitious today! 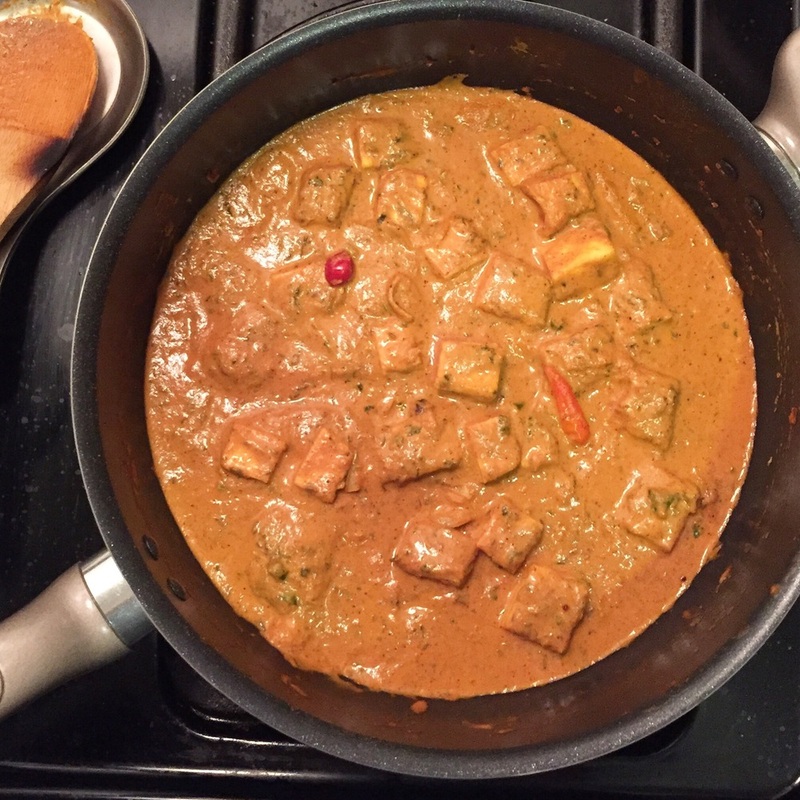 I took a stab at creating a recipe for my most favorite Indian dish: paneer makhani. Paneer Makhani is made with an incredible, creamy, spicy tomato sauce surround cubes of cottage cheese. It's amazing with basmati rice or with naan! There are a lot of ingredients in the sauce, but it doesn't take a long time to make & it is sooo worth it. Use a large pan, wok, or pot to heat the the onion, garlic, chili peppers & all of the spices just until lightly cooked (about 30 seconds). Mix to combine. Pour the tomato sauce or purée & the methi leaves into the pot. Let simmer for about 5-7 minutes. Add the heavy cream (room temperate). Mix well to combine. Add salt as desired then taste & add more spices if needed. Important: turn off the heat! Then add the paneer & toss until it is well coated. Leave the stove on for just a few minutes so the paneer heats up. Serve with naan or over basmati rice.